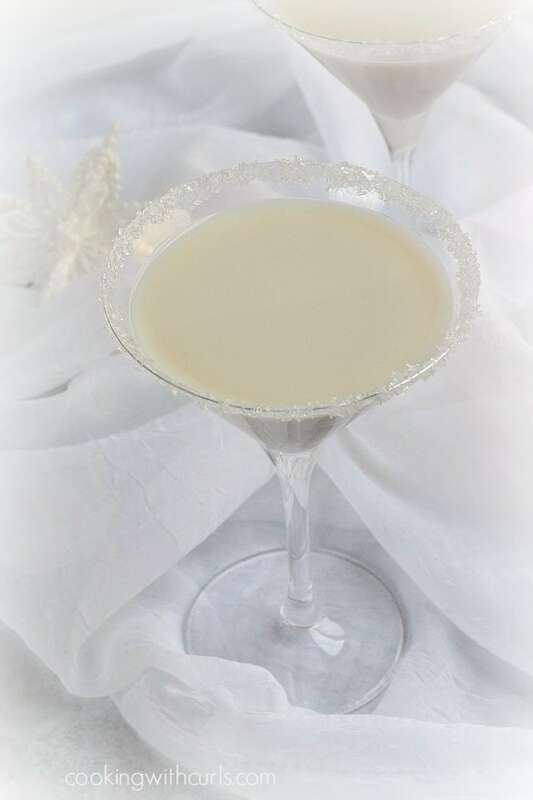 I am dreaming of a White Christmas…in the form of a Snowflake Martini that is! My days of shoveling snow are behind me, but I still needed something a little bit icy to help me celebrate this year. So I took my Liquefied Ghost Martini from Halloween, and gave it a bit of a makeover. My first thought was a “melted snowman”…..
but that would be more appropriate for the end of winter, not the beginning, LOL Then I came across these decorative sugar crystals in the pantry, and they reminded me of snowflakes…BAM, Snowflake Martini! Pour a small amount of vodka onto a small plate, and a small amount of sugar crystals onto a second plate. 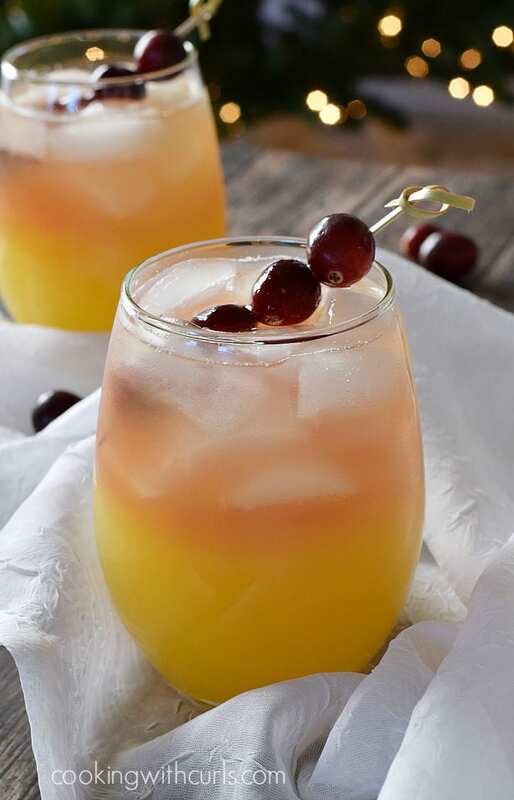 Set aside…..
Add 1 cup of ice to cocktail shaker. Pour in all ingredients, shake to combine…..
Pour cocktail into martini glass and serve….. The peppermint schnapps gives them their cool, iciness, but it’s not enough to be overpowering. They are still creamy and delicious…with a kick! 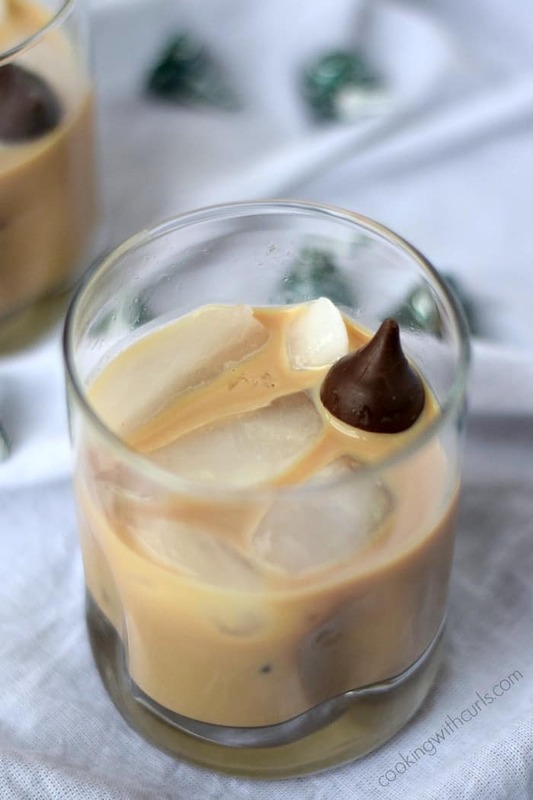 For a bit more of a chocolaty taste, you will love this Peppermint Kiss Cocktail…..
For a holiday pick me up without the chocolate, give this Holiday Relaxer a try….. Celebrate the season with a creamy Snowflake Martini. 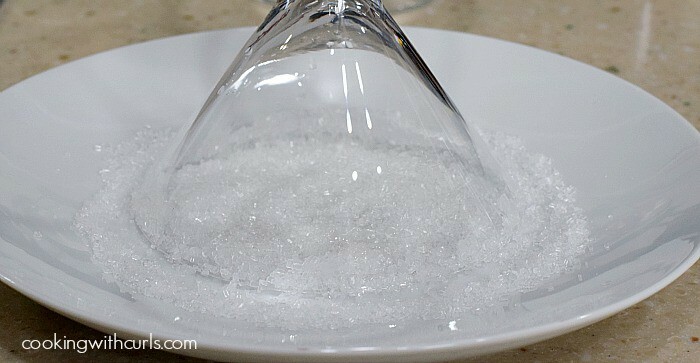 Pour a small amount of vodka onto a small plate, and a small amount of sugar crystals onto a second plate. Set aside. 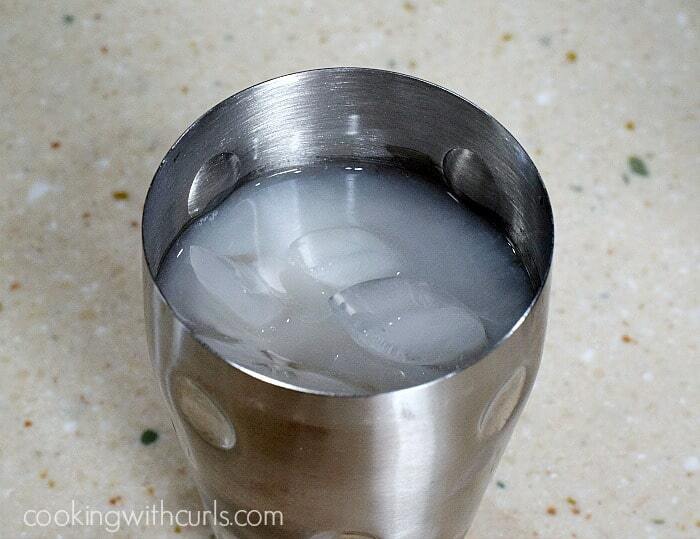 Add 1 cup of ice to cocktail shaker. Pour in all ingredients, shake to combine. Pour cocktail into martini glass and serve. Wow! I don’t even drink martinis, but this looks so beautiful I’m pinning it! Wowza, this looks amazing! I’d like one, uh, two, right now! Pinning! I’m featuring these at BOTW tomorrow! Yum! 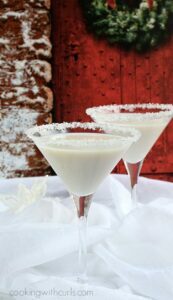 A great way to Celebrate the season with this delicious Snowflake Martini. Thanks for sharing with Foodie Friends Friday party this weekend. Hope you have a lovely Holiday and a very Happy New Year! We look forward to seeing you again soon.